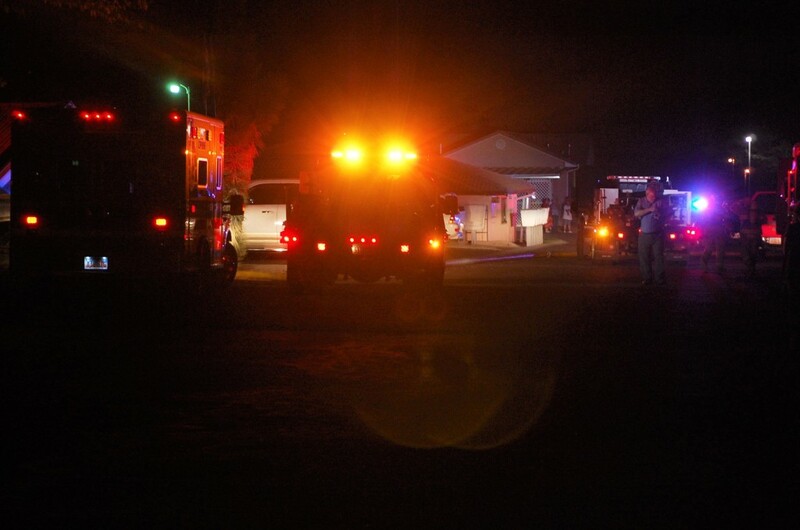 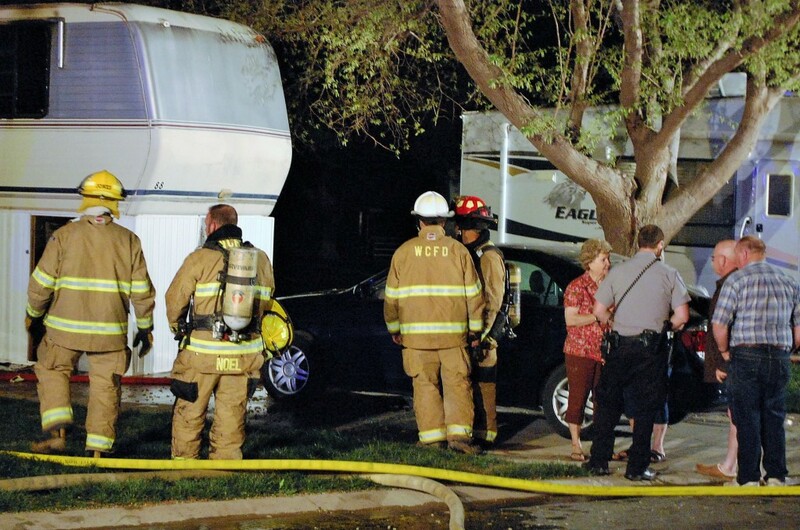 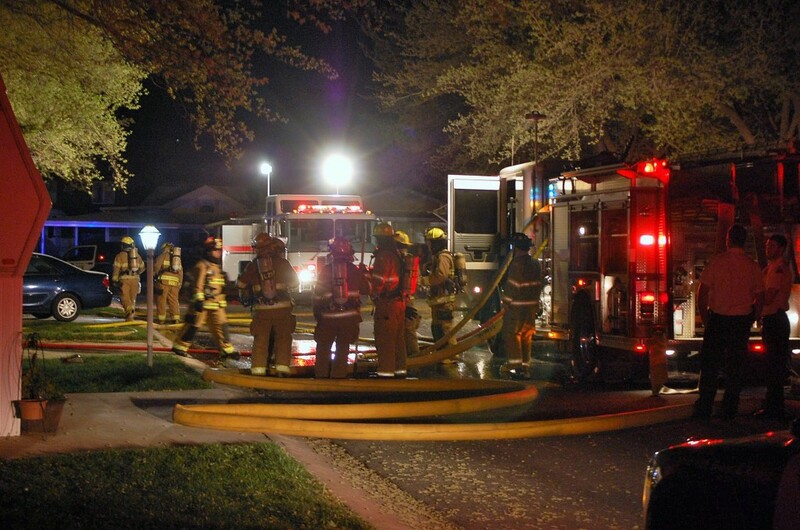 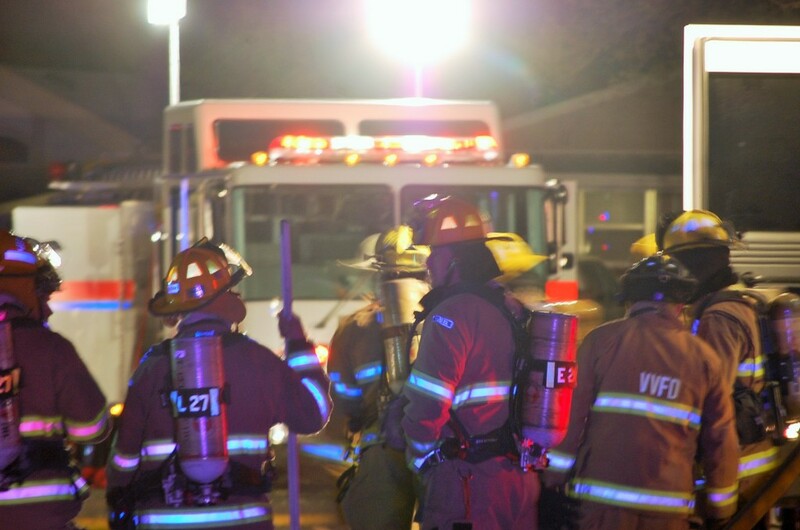 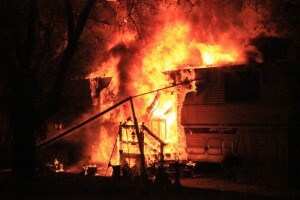 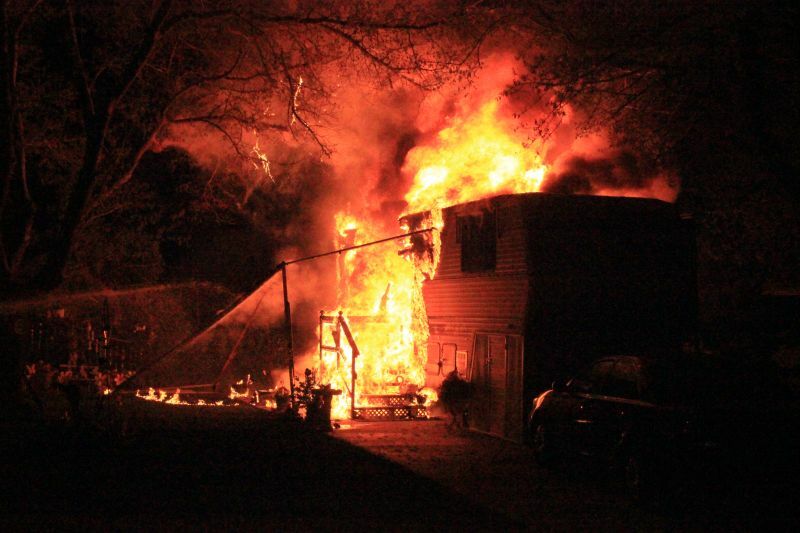 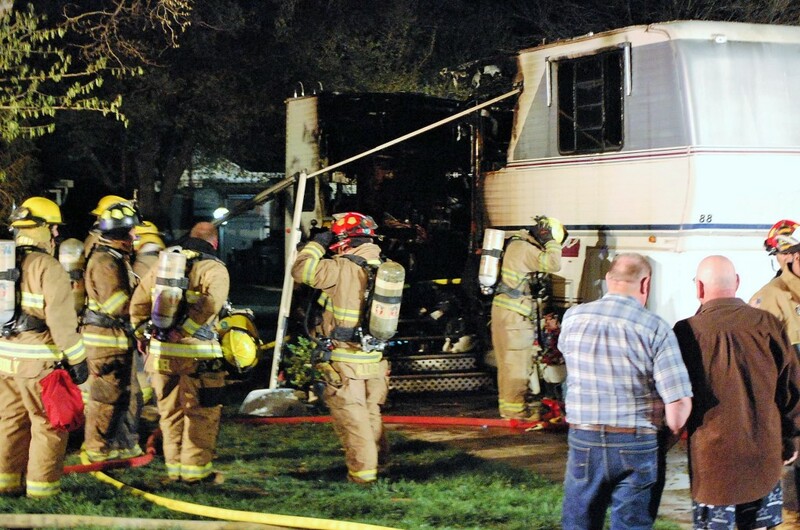 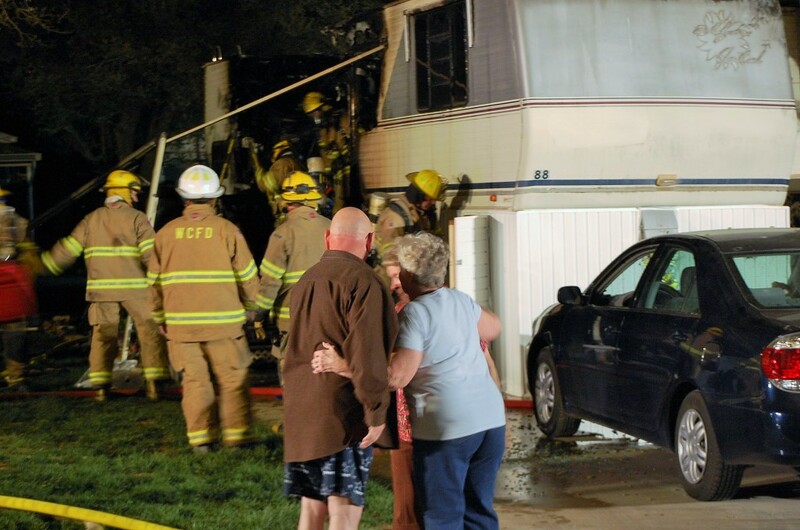 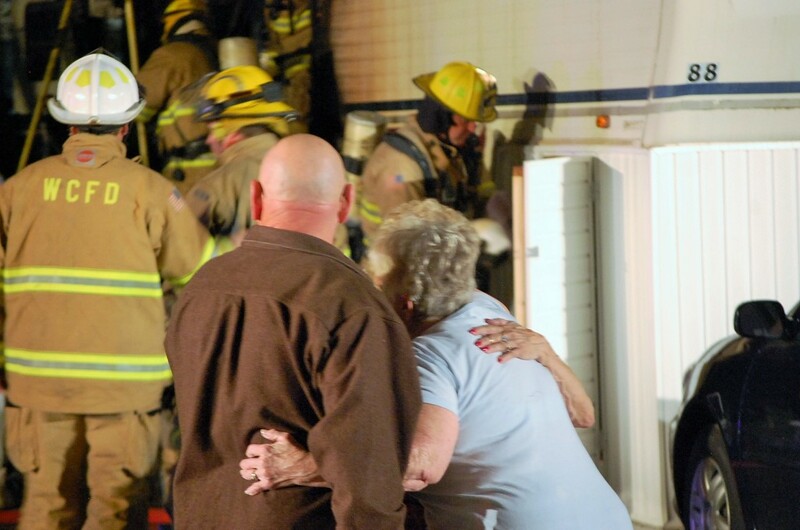 WASHINGTON CITY – A Monday night fire at King’s Row Estates at 180 N. 1100 East in Washington City destroyed a trailer, displacing a woman and killing her pets. 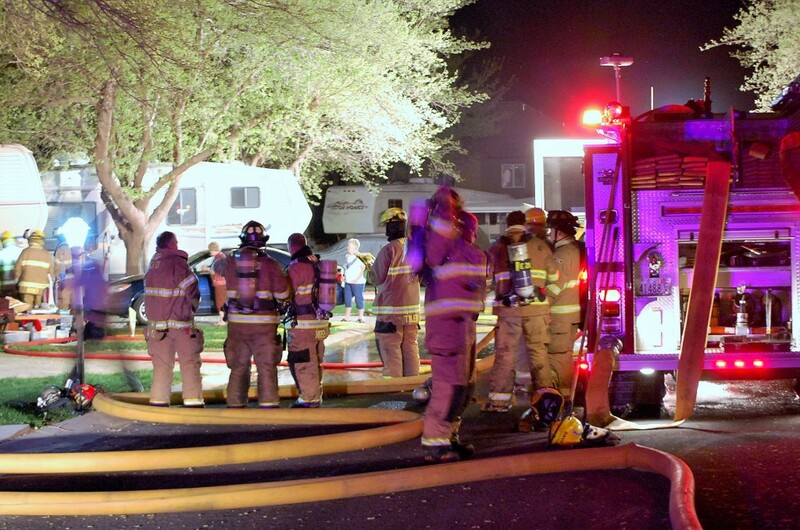 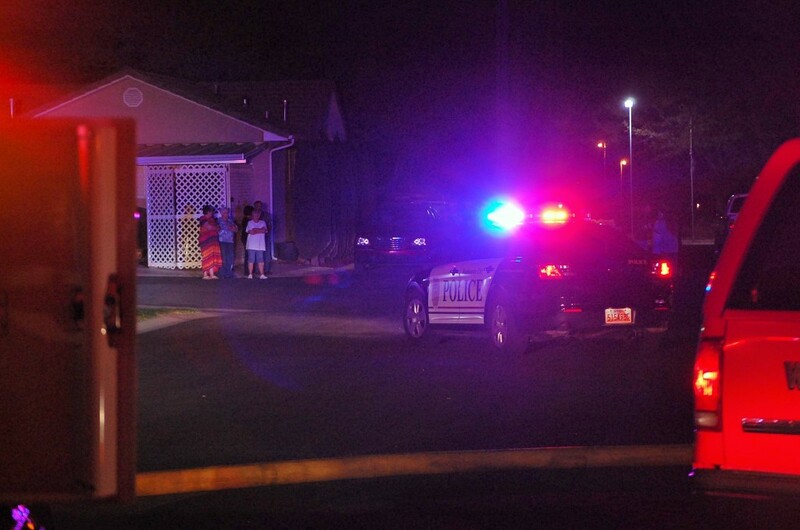 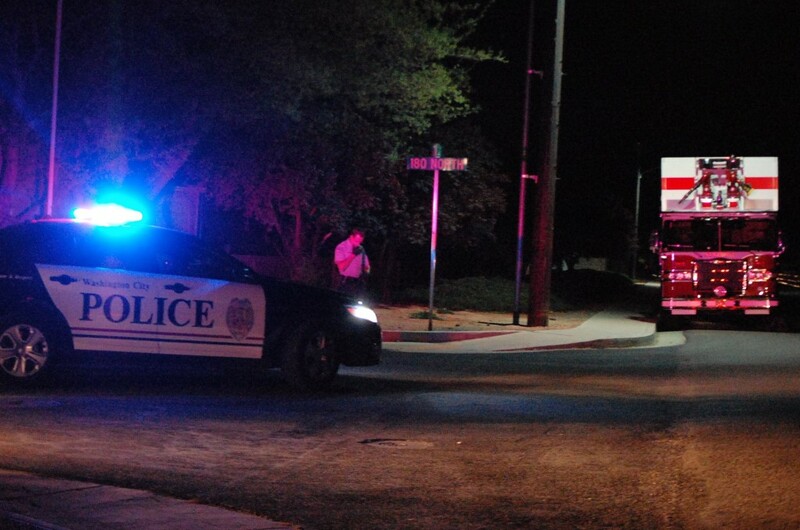 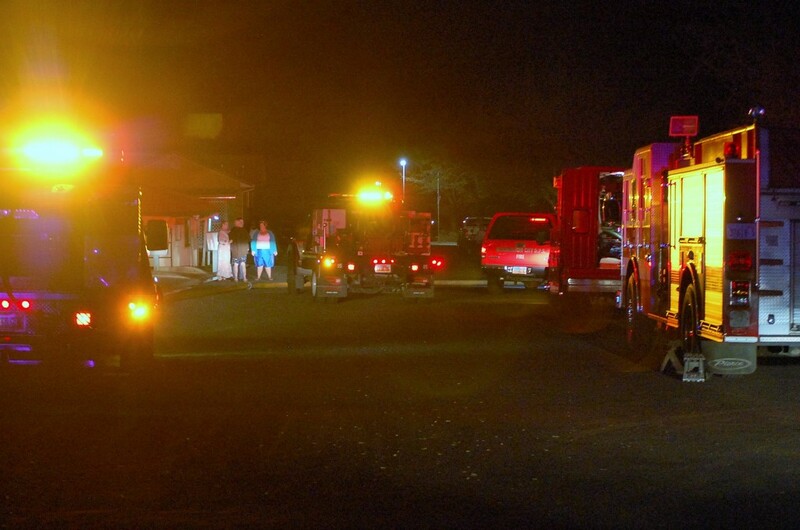 Hafen said the fire was reported about 8:40 p.m. by a neighbor. 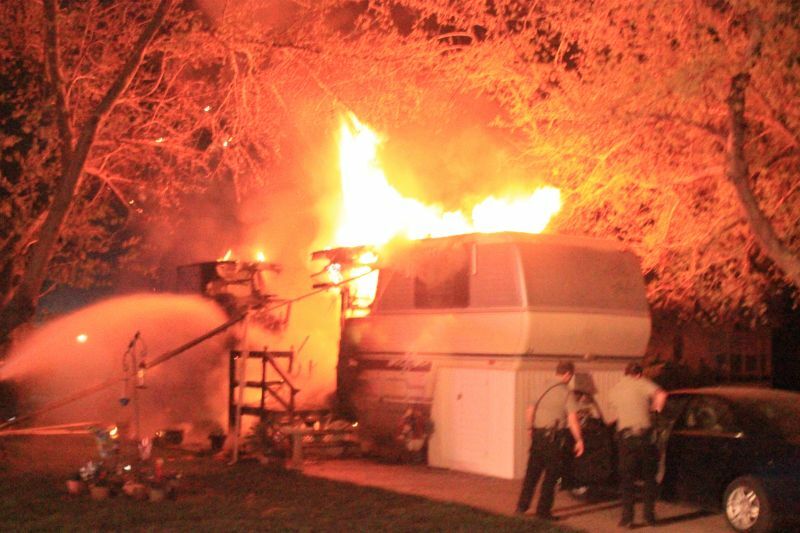 Units from the Washington City Fire Department responded to the scene to find the trailer fully engulfed in flames. 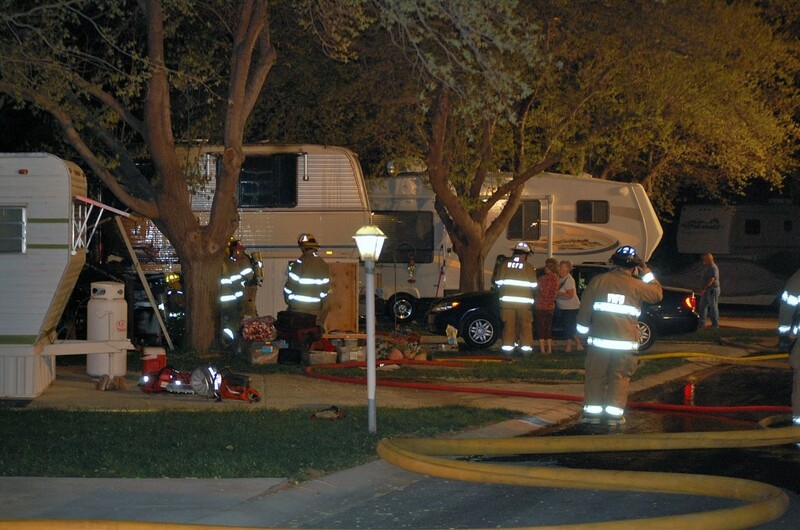 St. George Fire Department units were just finishing training and offered to send a couple of units to assist. 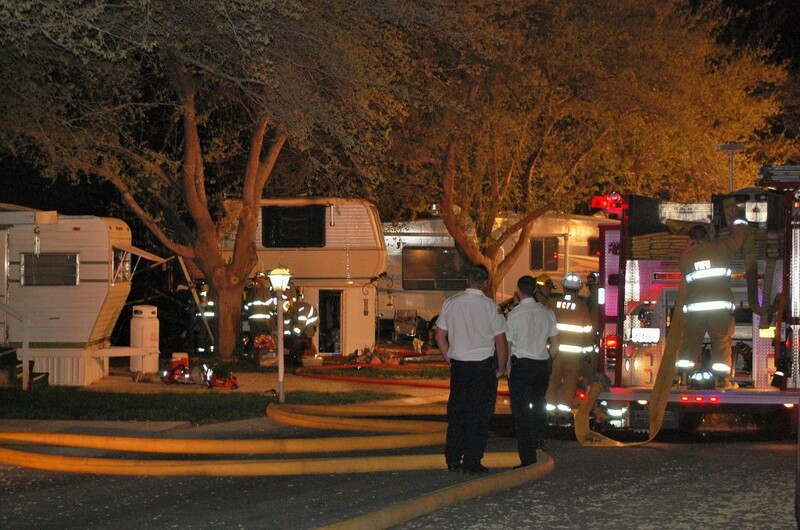 In all, five engines responded. When units arrived, the center of the trailer was blazing. 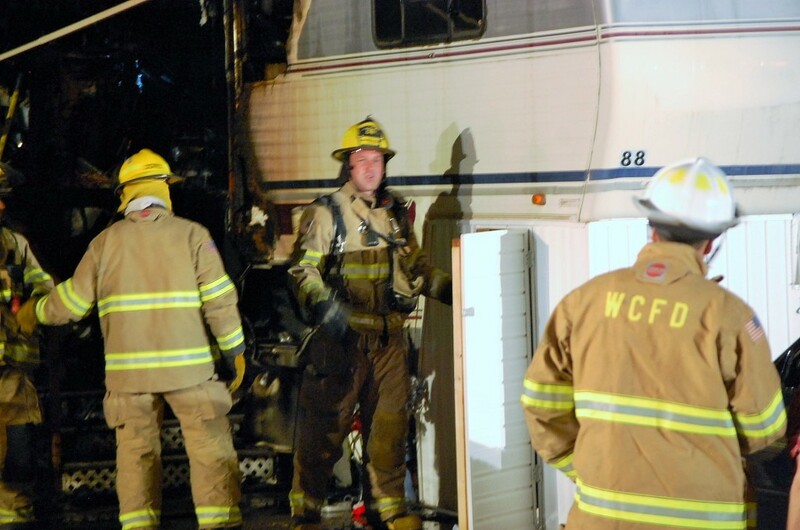 Firefighters got a good jump on the fire and contained it to that middle section of the trailer. 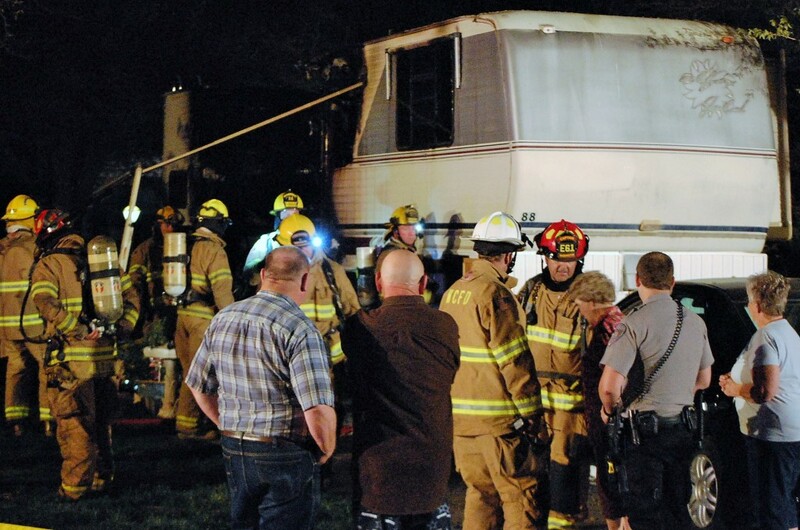 “For a trailer, I feel we got a really good stop on it,” Hafen said. 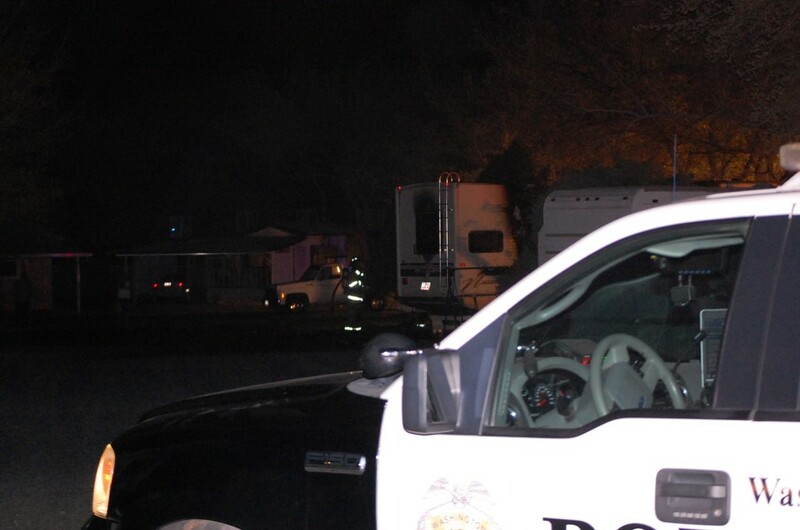 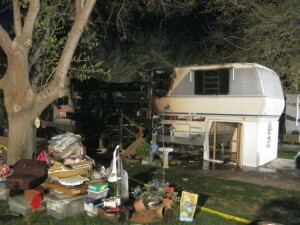 Many of the woman’s belongings and personal items were able to be salvaged from the trailer. 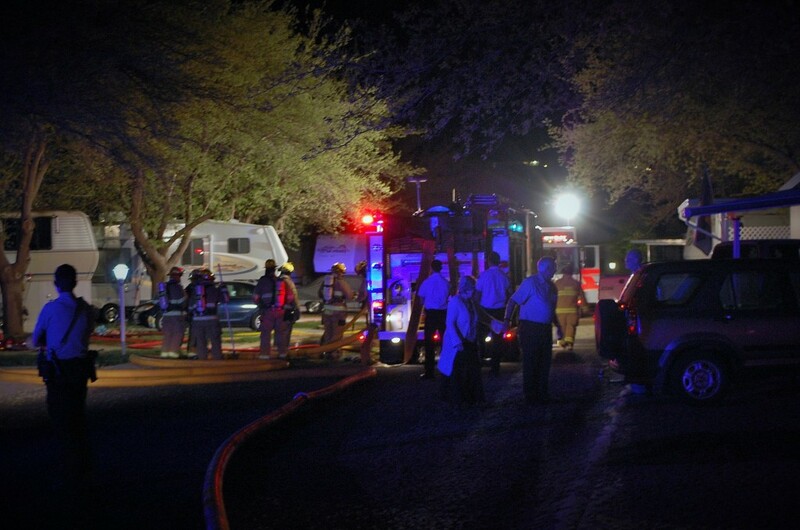 The woman has a relative in the area but, due to medical issues, the relative is unable to help her, so arrangements were being made with the Red Cross to help the woman with temporary lodging and needs. 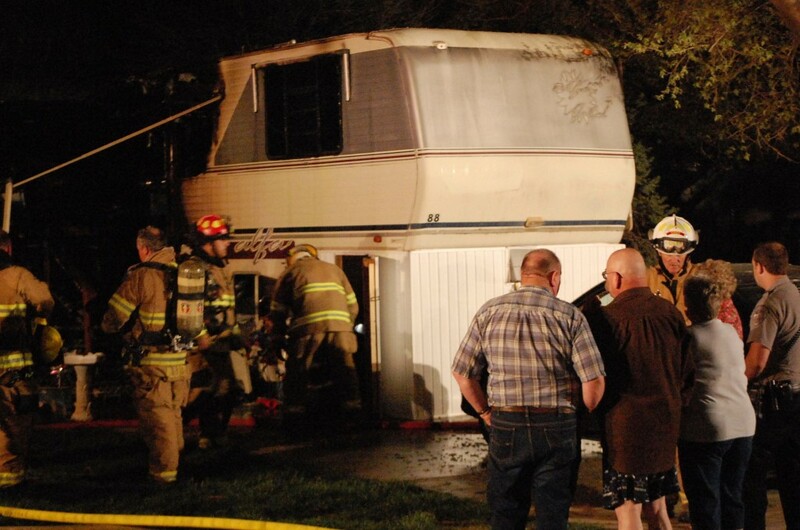 Hafen said the trailer was a total loss. 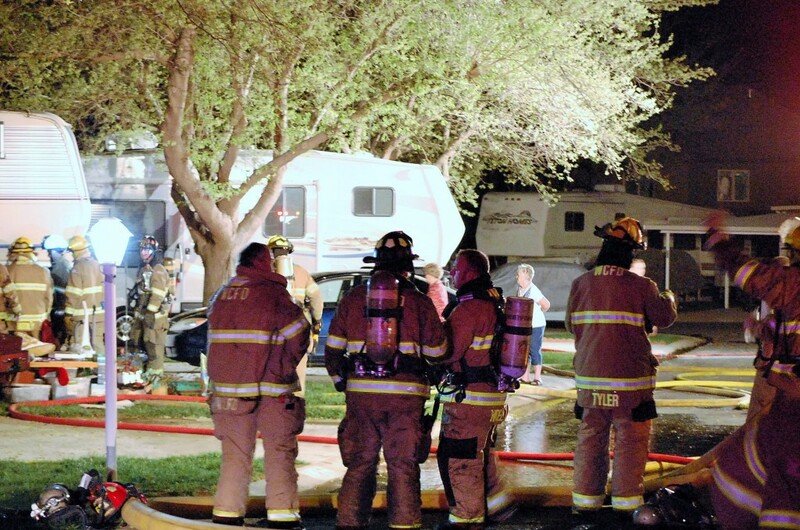 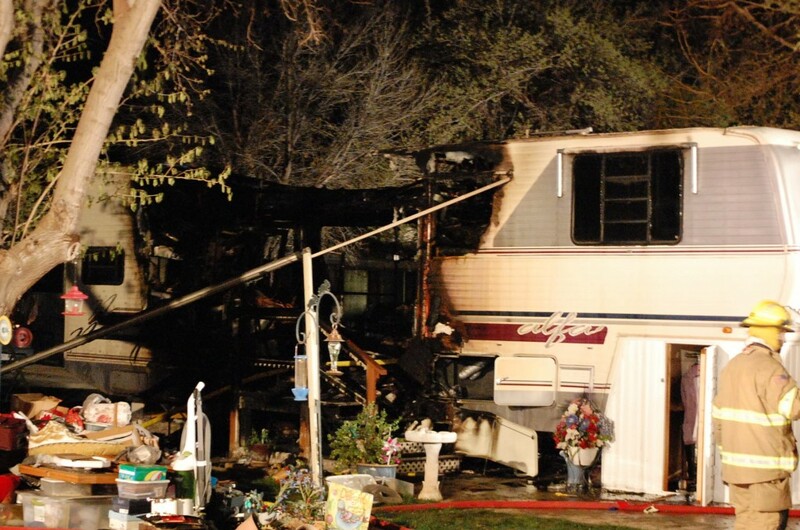 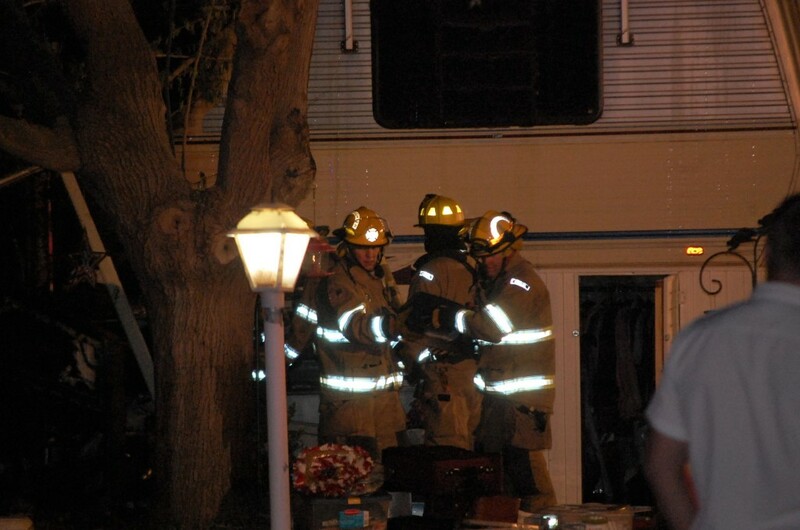 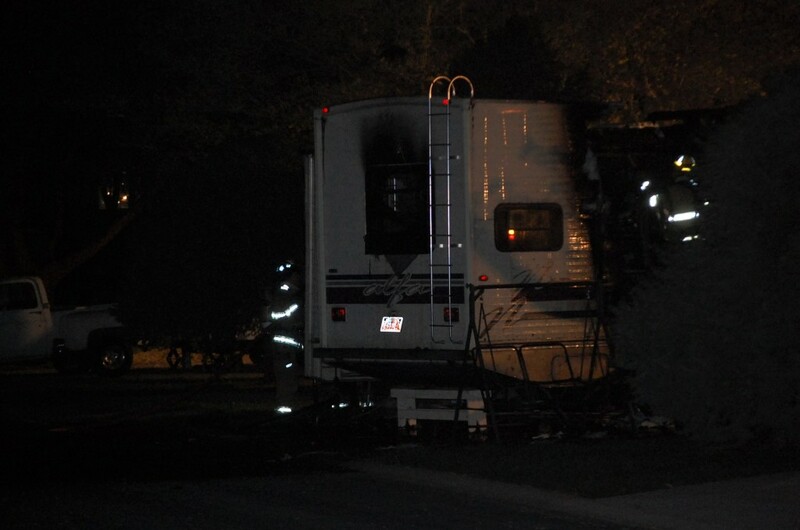 Trees around the trailer were scorched, but no neighboring units were damaged by the blaze.